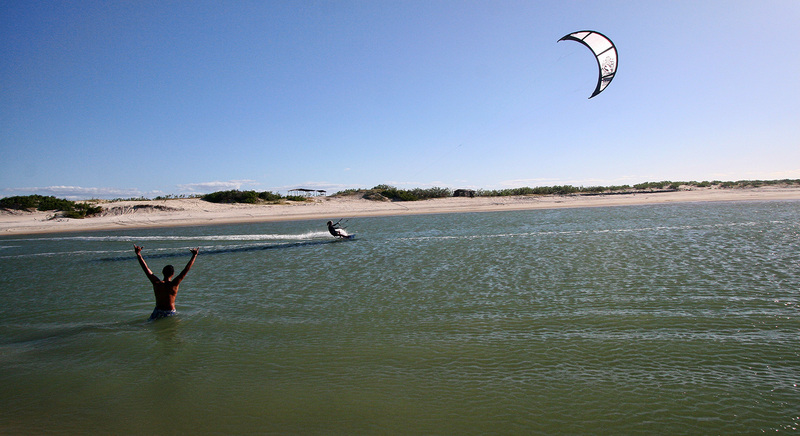 For 2017 we are building upon our hugely successful and sold out Flat Water kite camp in Parajuru in 2016. 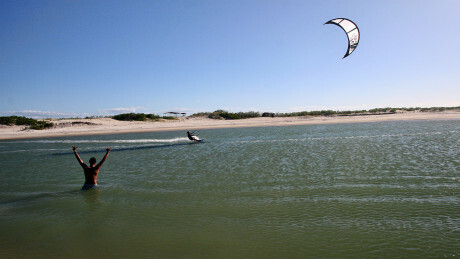 We have listened to what you most want from your kite camp and have put together 2 awesome packages to give you the experience if a lifetime with us. 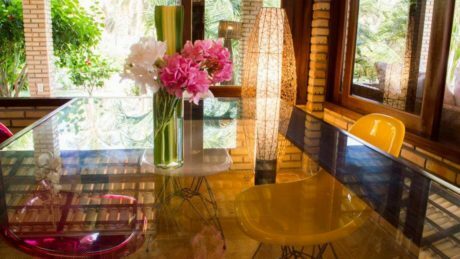 The first option is the Casa Amarella. 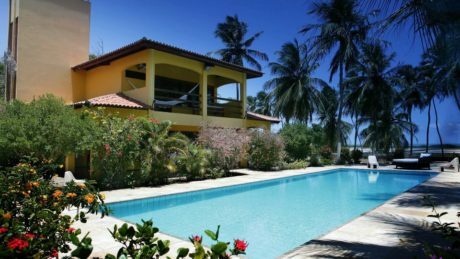 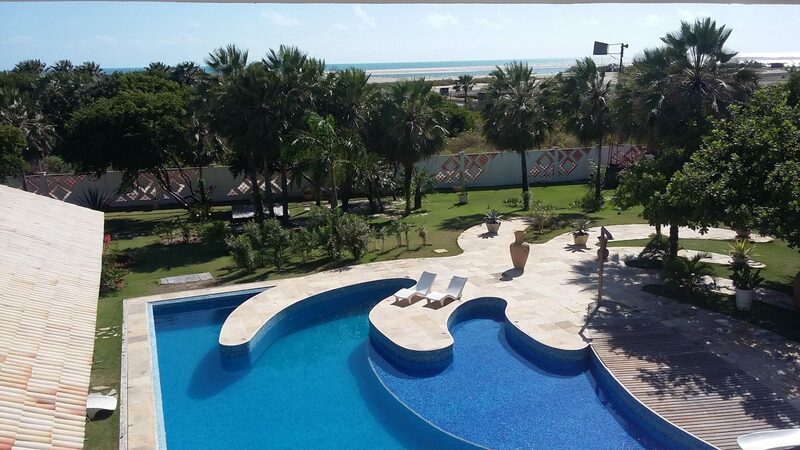 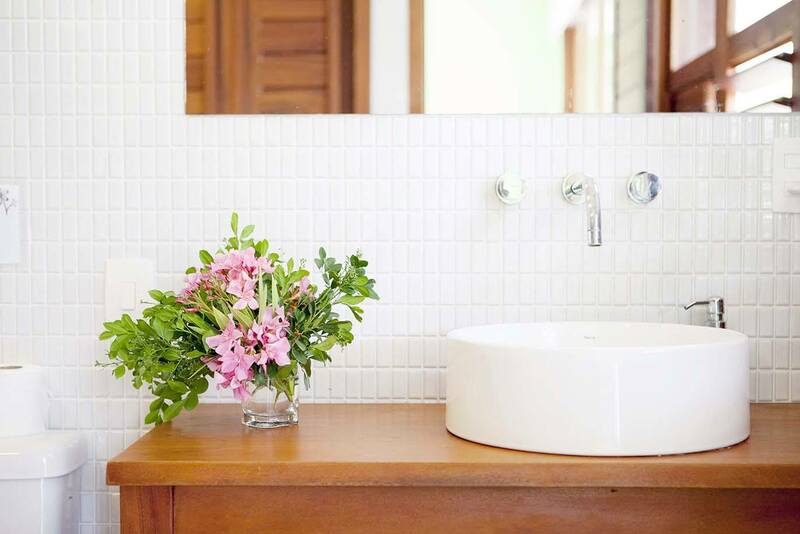 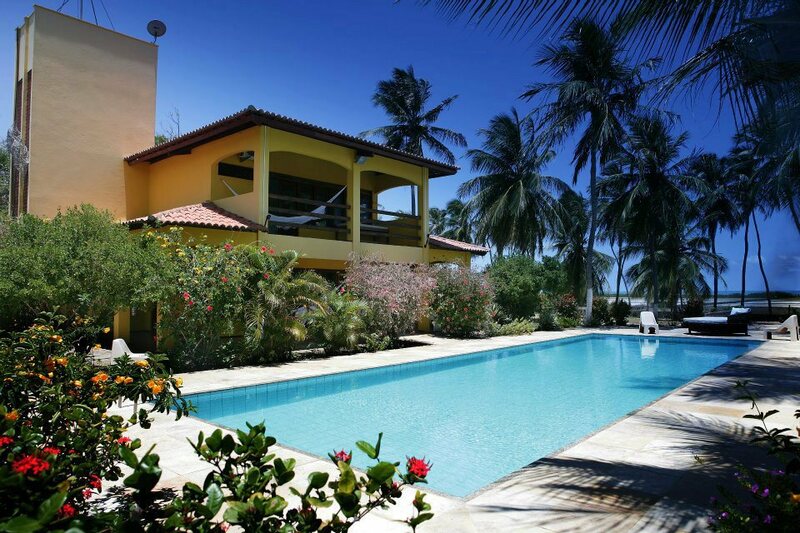 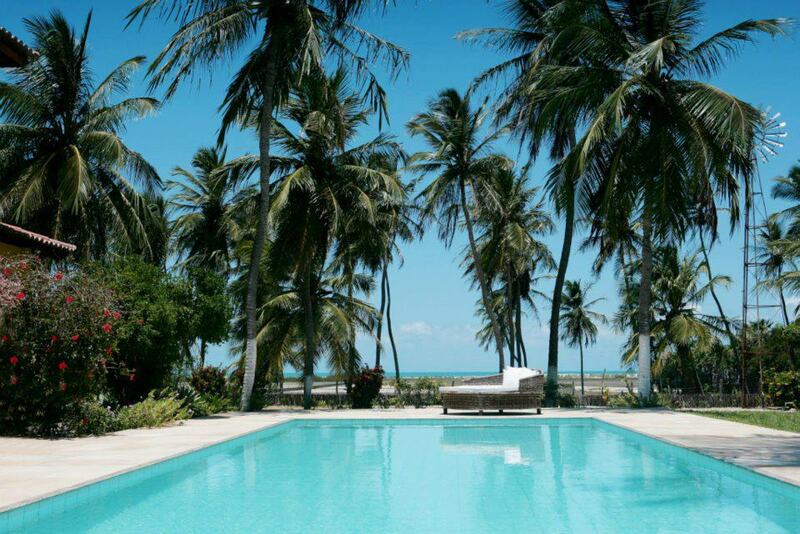 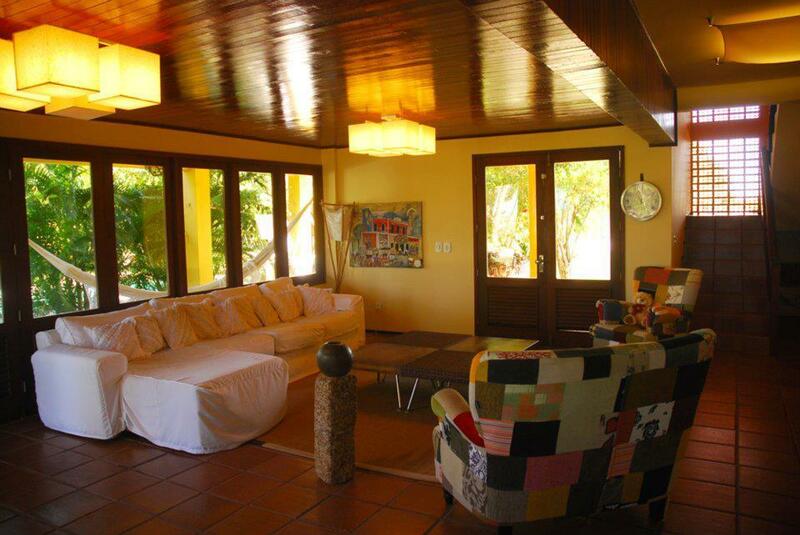 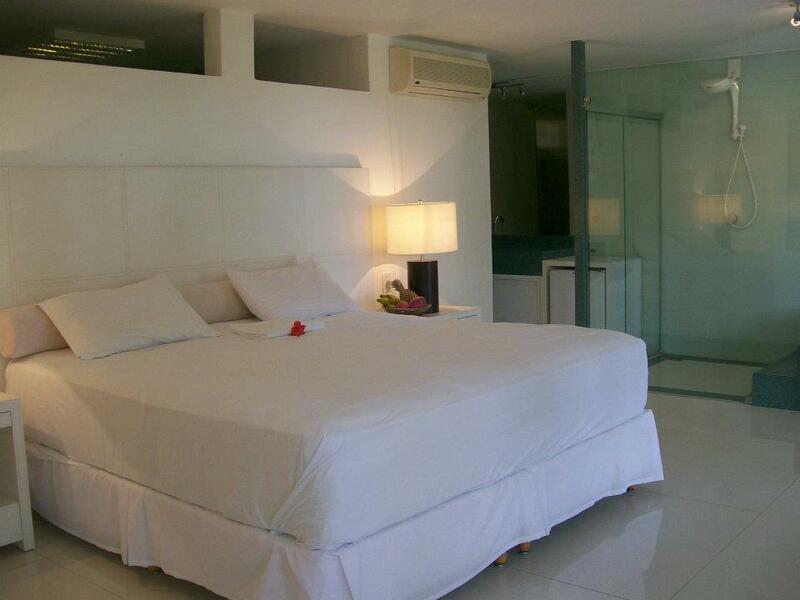 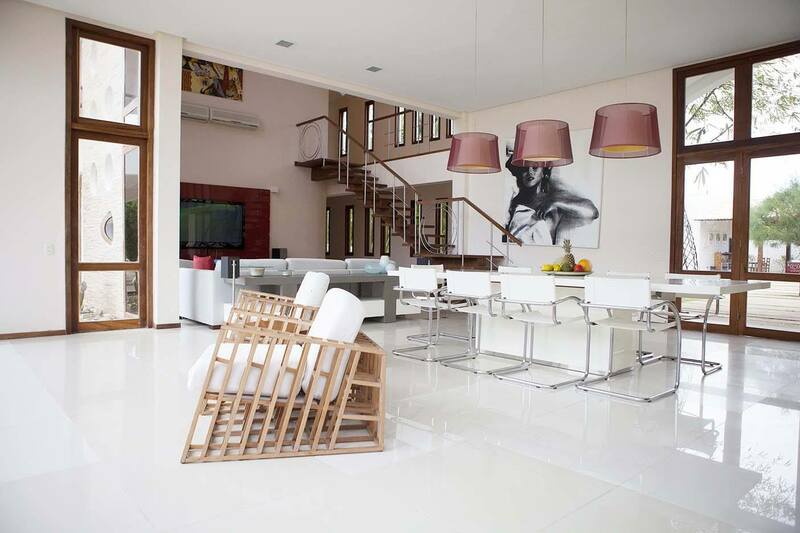 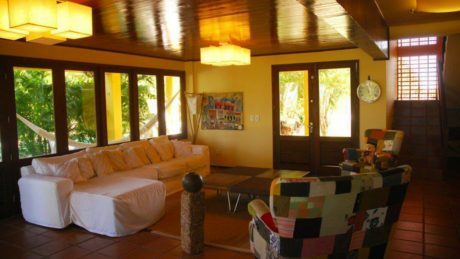 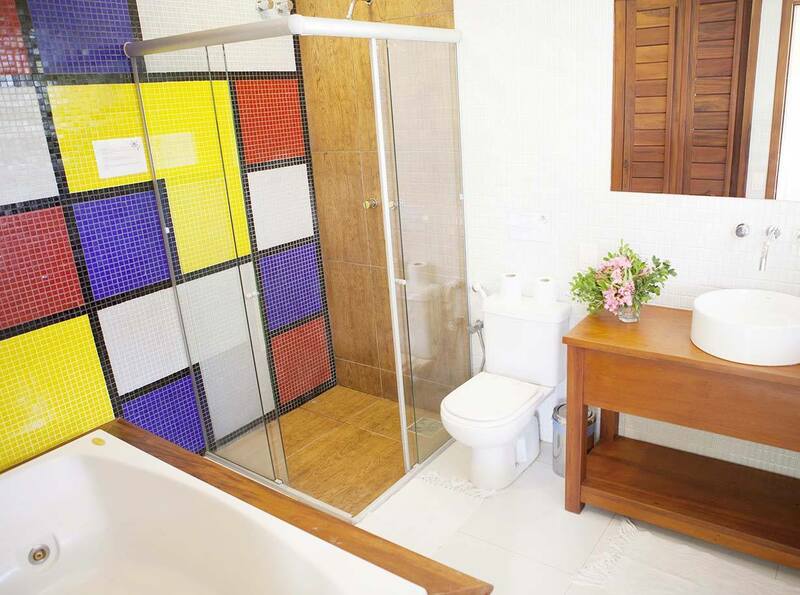 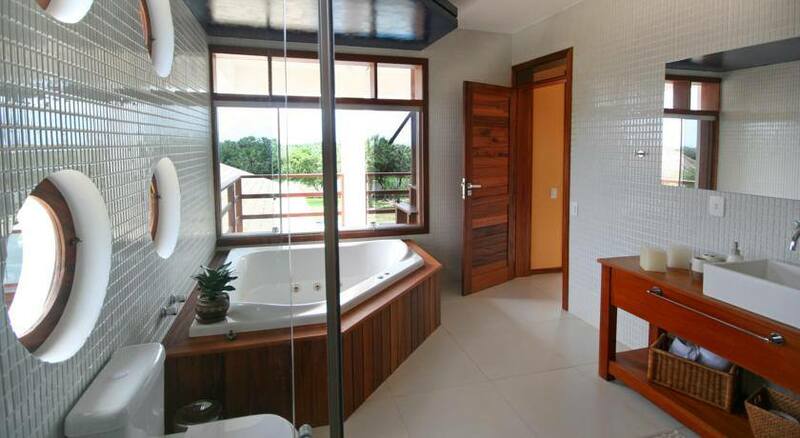 The Casa Amarela is a beautiful two-storey house with pool and a wonderful sea view. 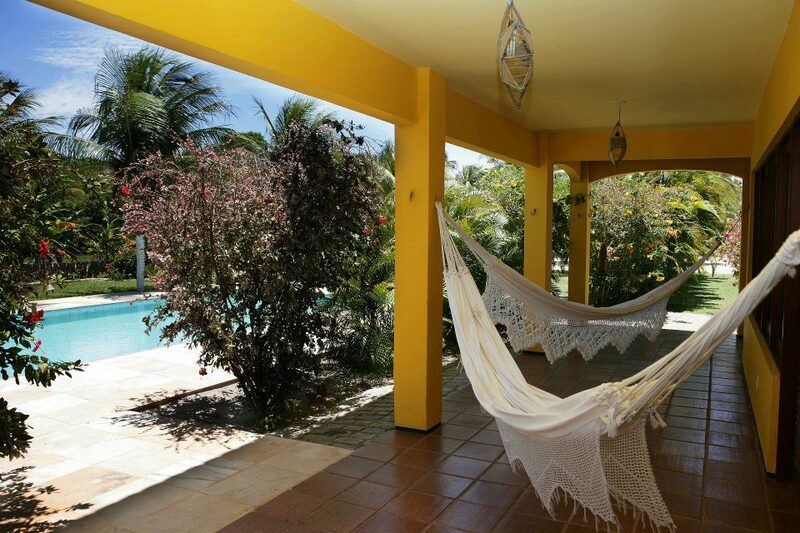 The garden with tropical plants and fruit trees invites you to enjoy and dream. 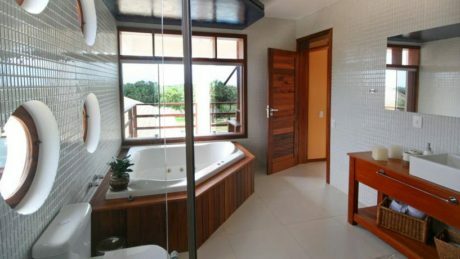 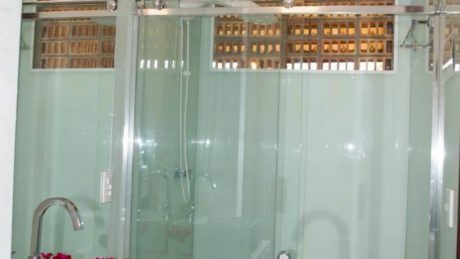 The house has two double rooms, one with hot water shower / WC and fan and another with hot water shower / WC and air conditioning. 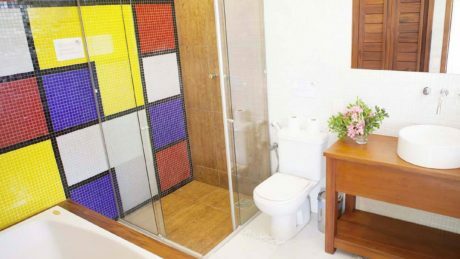 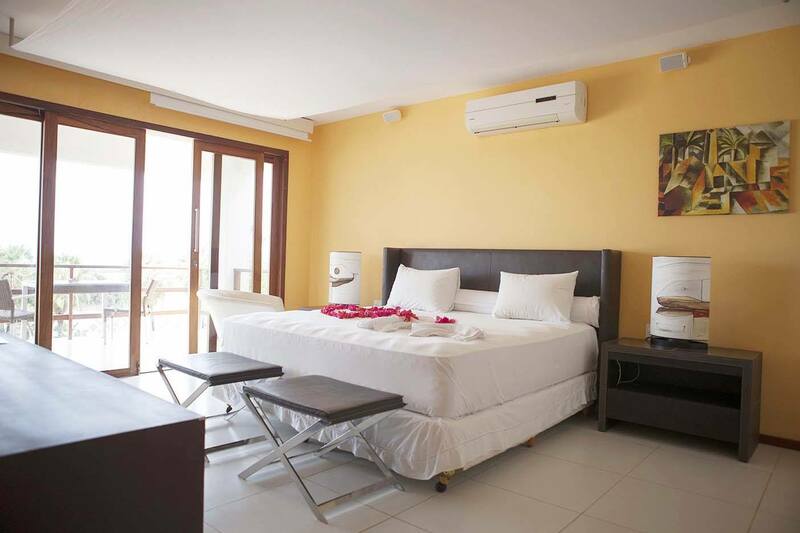 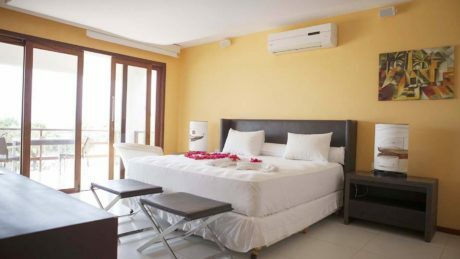 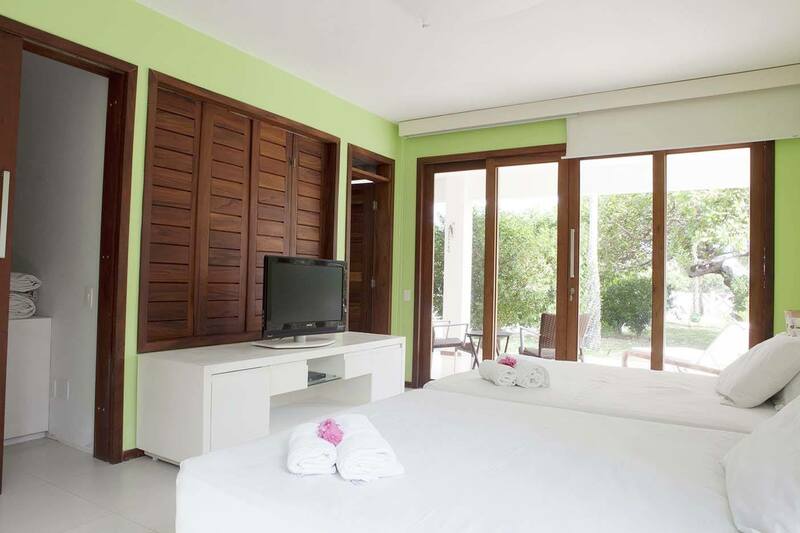 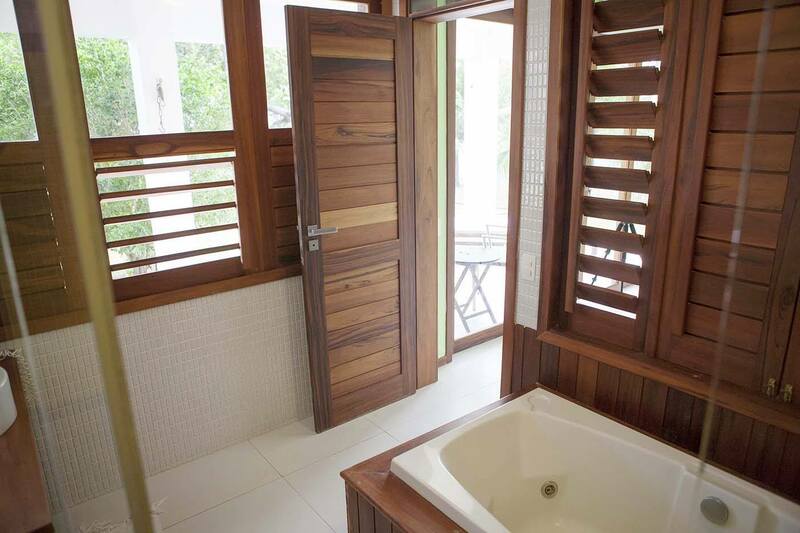 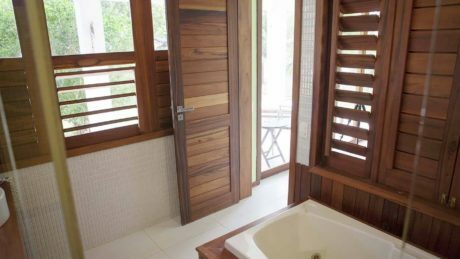 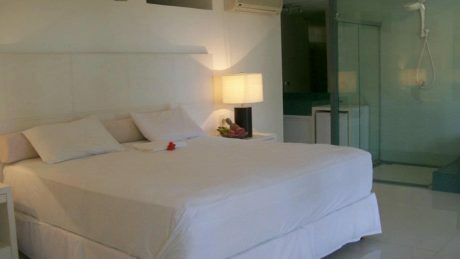 The third room is a suite with a king-size bed, air conditioning, cable TV, jacuzzi, hot shower / WC, dressing room and terrace with sea view. 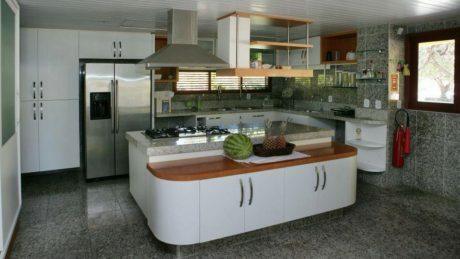 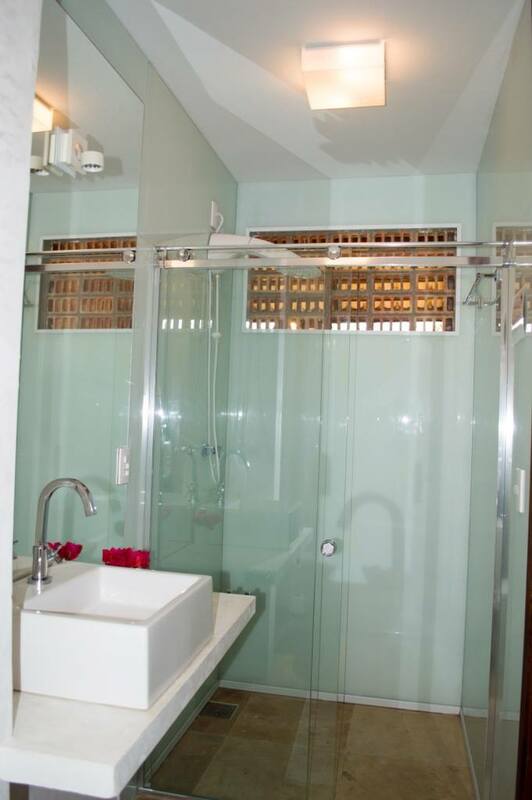 The American kitchen is equipped with a refrigerator, a stove and the most important cooking utensils. 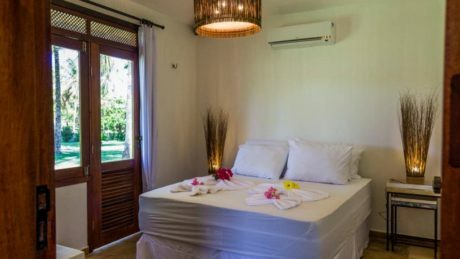 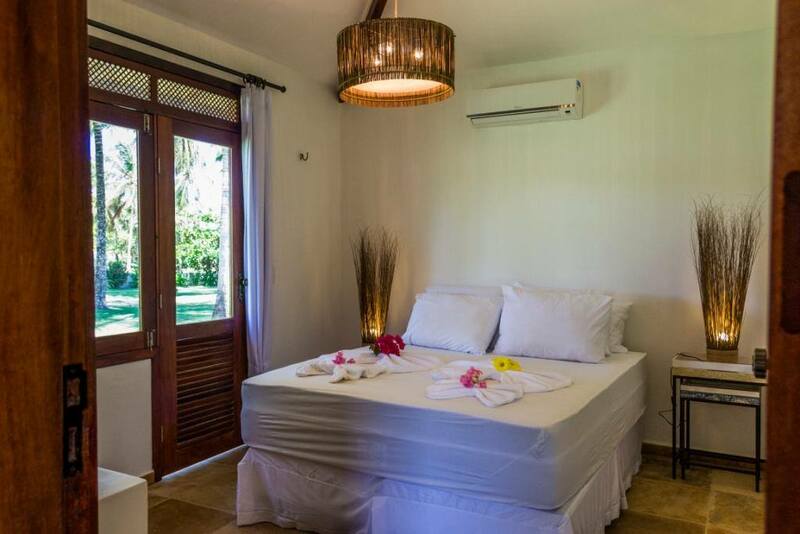 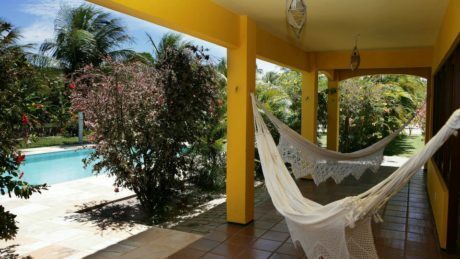 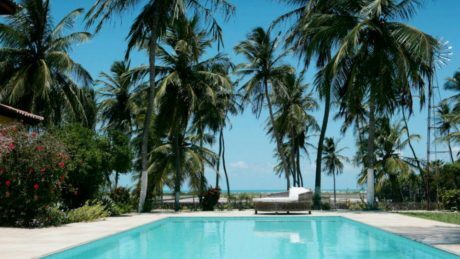 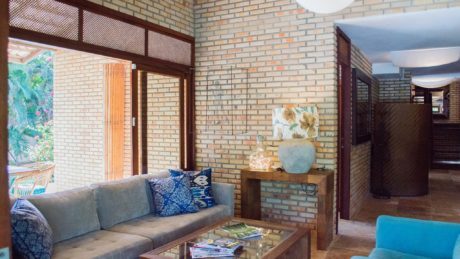 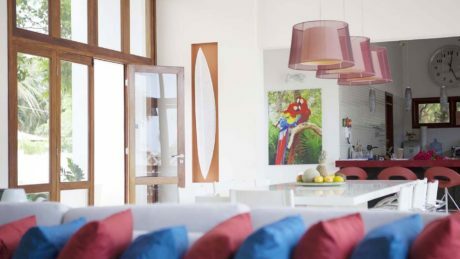 The Casa Amarela also offers a spacious living and dining room, a veranda with hanging mats and a large breakfast table, as well as an alarm system. 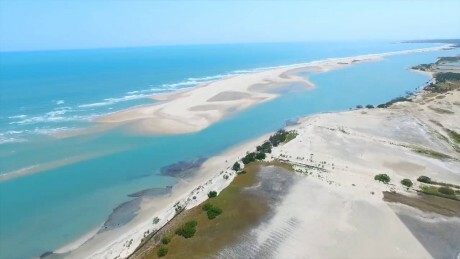 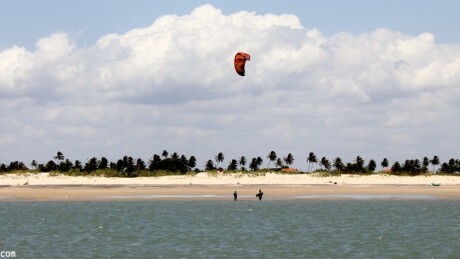 The distance to the beach is only 200 m and the kite lounge restaurant and bar from Kiteboarding-Club Parajuru you reach in a few minutes walking. 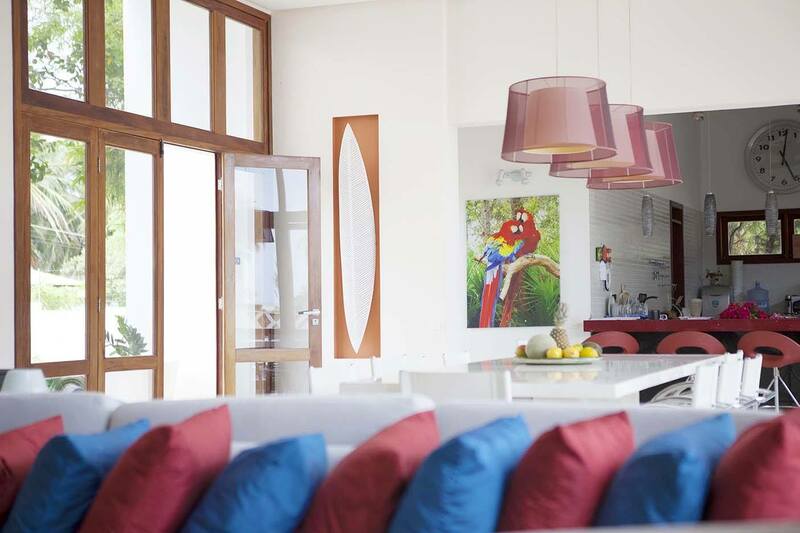 The reception and the restaurant of Refugios Parajuru you find next-door in Casa Grande. 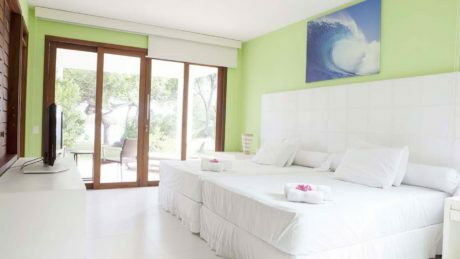 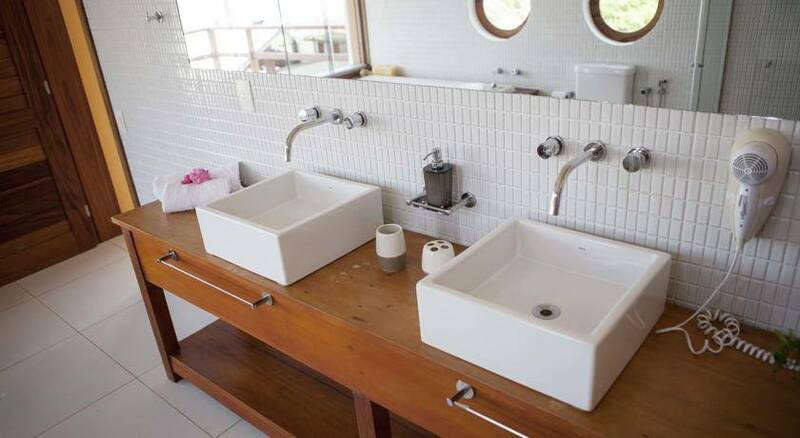 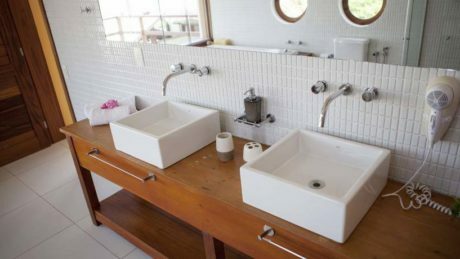 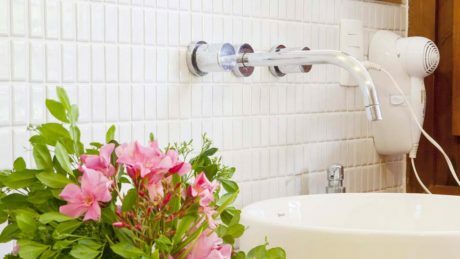 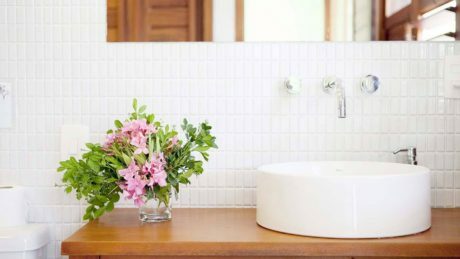 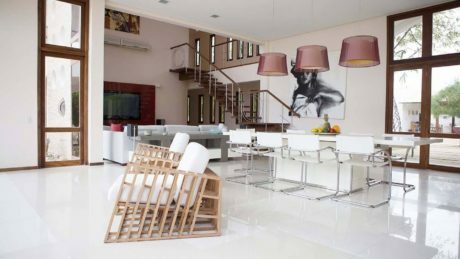 Villa Cristiano is equipped with 4 double rooms with shower with warm water/WC, fan, safe, terrace and offers accommodation for 8 persons. 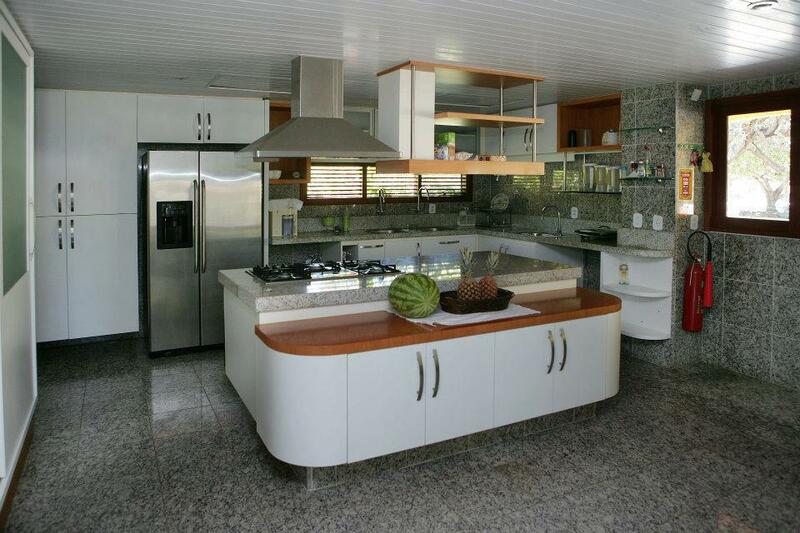 Furthermore the house has a beautiful living room and a kitchen. 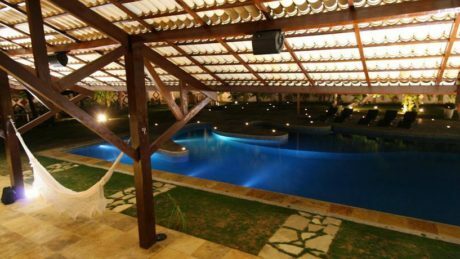 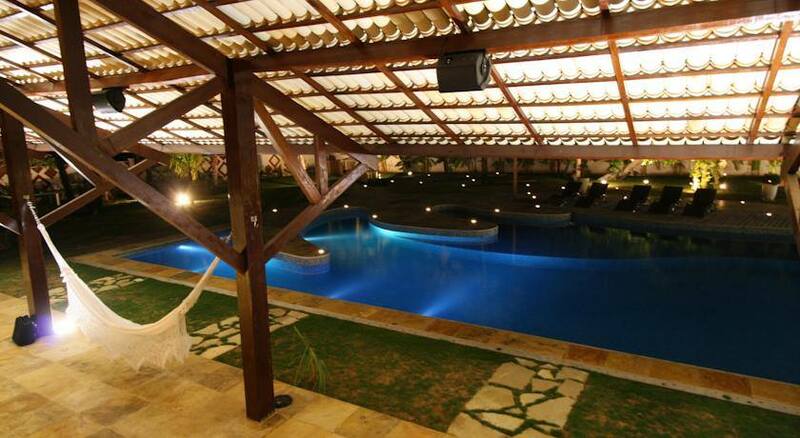 Outside there is a swimming pool and a huge terrace with sofa and hammocks. 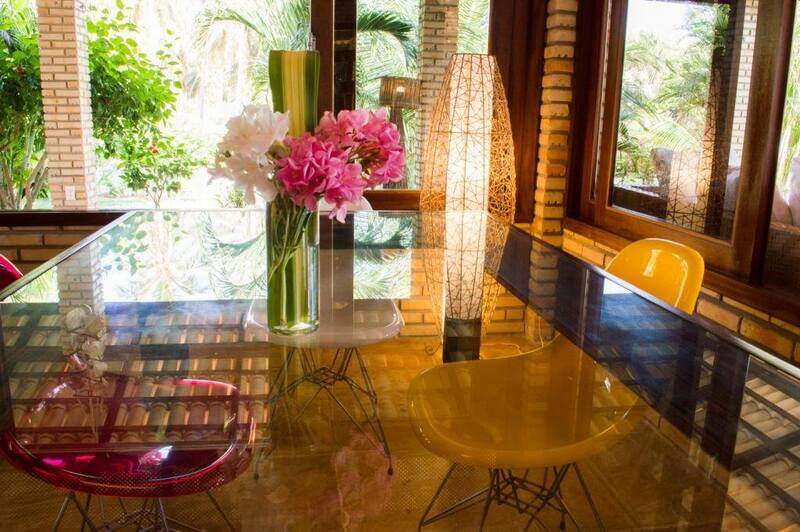 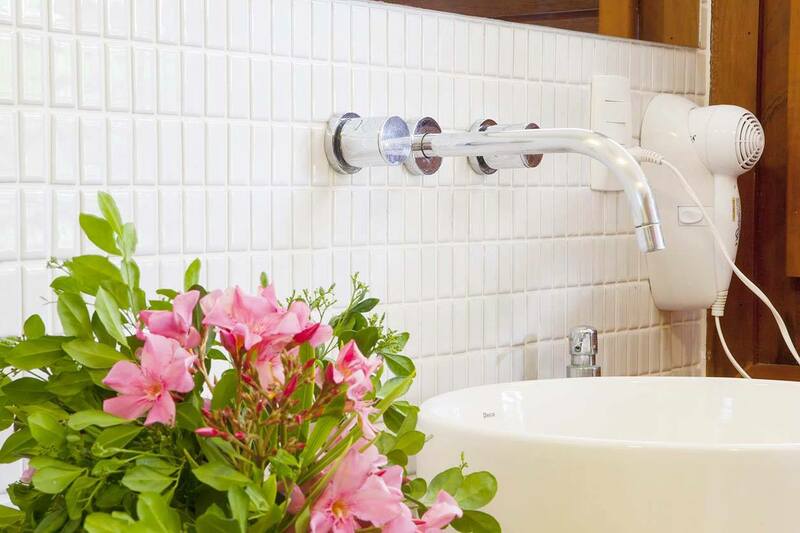 7 nights bed and breakfast at “Villa Cristiano“ or “Casa Grande”.